Any good relationship takes time, effort, commitment and trust. The same is true for our relationship with our hair. Healthy and happy hair doesn’t just happen overnight – trust me, I’ve done the leg work. And with naturalistas, many of us need to put in that extra bit of everything into making our relationship a good one. Having noticed the unique relationship every woman has with her hair, Dove is celebrating this by encouraging women to invest in their hair and reap the long-term benefits of continuous nourishment. Moving forward with their well known mantra of real beauty, Dove recently ran a survey on Women24 to gauge how real, everyday women relate to their hair. Not surprisingly, the feedback was a range of emotions and experiences with 80% of women stating that their hair effects their mood on a daily basis. I mean, they don’t call it a bad hair day for nothing. If my hair’s not right, I feel like my entire day is ruined. For me, hair is the cherry on top of my outfit. My look isn’t quite complete if my hair’s not done (or undone if that’s the look I’m going for). As many as 50% of the women surveyed said they change their hair products every three months. I can definitely relate to that. Many of us want instant results and get into the bad habit of not following through with certain brands or products because we’re on the search for the holy grail of hair products. I always say listen to your hair. The first goal for us to reach a healthy relationship level with our hair is to understand it. What does it need or like? How does it react to certain ingredients and techniques? 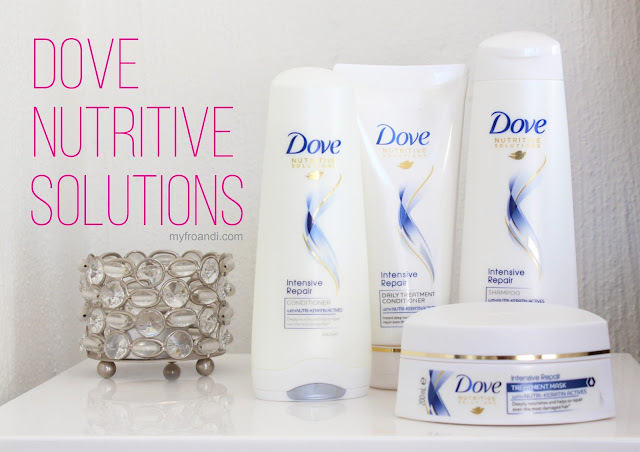 Seeing how intertwined trust and commitment is in our hair relationship, Dove recently relaunched their hair care lines to offer us long term solutions for our hair and help us have happy hair days. The entire range promises to give progressive nourishment to your hair, with noticeable results after the first use. So the more you use them, the stronger and healthier your hair will be. I’m currently trying the Intensive Repair range on Fro and will be sharing my experience with you in a video soon. Watch my YouTube space! You can get more info on the new Dove Hair range on dove.co.za and #DoveHairPerfectPair. Hi Aisha, thanx a mil for posting this. Tried the range this past weekend and my fro fell inlove. U rock.